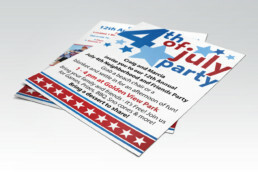 I have been designing the flyer for this 4th of July party for the past 12 years. 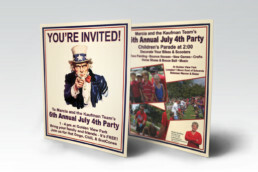 Huntington Beach has the longest running 4th of July parade in the country, and fireworks in the evening. This is a family friendly party that fills the hours between. On a normal year, they go through around 500 hot dogs and the same amount of sno-cones. There are also bounce houses, games, and giveaways. 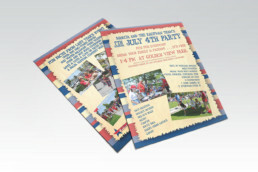 For the flyer, I typically try and come up with a layout that has a patriotic look. From there, I pull in pictures from the last years party, and update any needed for the party sponsor.